Villa Valentino #16 is a cute little studio apartment with an airy loft for sleeping. It has been fully restored and fully furnished. 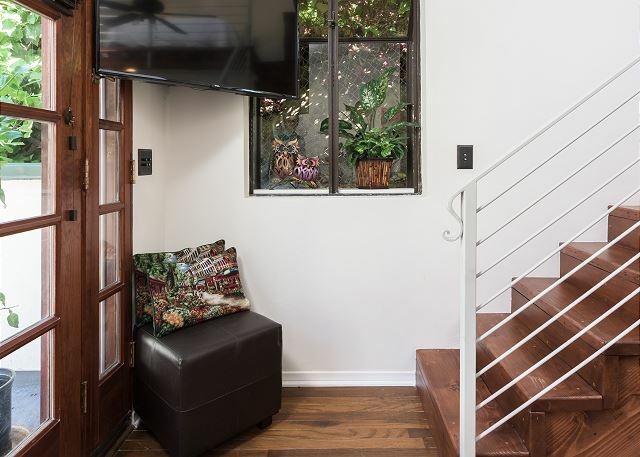 It has double French doors leading onto a large private patio with BBQ for outdoor dining. The property features off-street parking behind a private gate and is located just 2 blocks south of the Hollywood Bowl, and 2 blocks north of the “Heart of Hollywood” at Hollywood Blvd and Highland Ave. Easy walking access to Disney’s El Capitan Theater, the Kodak Theater, Graumann’s Chinese Theater, the Metro station, restaurants galore and many other attractions. Close access to the 101 Freeway. I stayed in unit #16 and loved my three weeks there. I was super comfortable and loved having a private patio. Carrie and the staff are fantastic and so welcoming. The apartment was comfortable with great internet and TV. You can easily walk to Hollywood Ave. The Starbucks is a block away. I will definitely stay here again. A hidden gem in the heart of the city! From the time we were greeted at this charming property to the time that we checked out, we were thrilled with the whole experience. 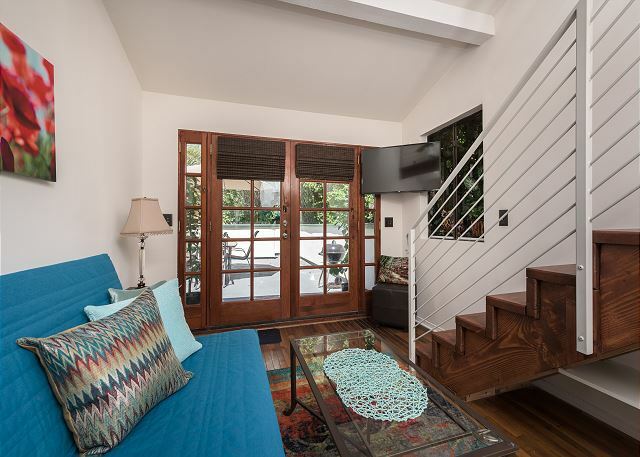 This property provided the ideal home base for whirlwind trip to LA. We rented a car, so the private and secure parking was greatly appreciated. The villa was spacious despite its small square footage and had everything we needed (with the exception of a hairdryer so frizzy beach hair became my new style!). 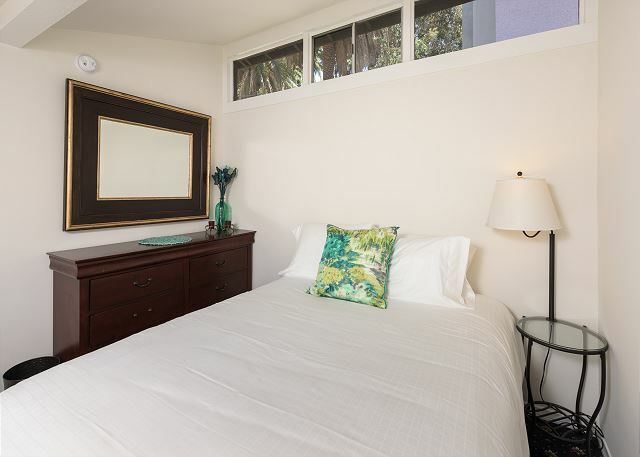 The bed was luxuriously comfortable and the whole apartment was clean and welcoming. Our private terrace was a huge asset as well! The only downside was the initial smell upon entering the villa was reminiscent of an old cottage (to be expected with a vintage property), but it only took a few minutes to adjust and become unnoticeable. I should mention that I do have a very acute sense of smell, so others may not even notice. We had a lovely stay in Villa Valentino #16. The property was laid out and stocked exactly as described. Carrie was lovely and welcoming. It is a little tricky to find the property entrance on first approach. We appreciated the lovely patio dining and the various nooks for enjoying the beautiful California evenings. The wifi is dependable and the parking was deeply appreciated. The location was perfect for our purposes. I would stay here again. Heads up that AT&T phone service is a little dicey from this location. The property is aware of that challenge and does provide a land-line telephone in the villa. An Oasis of Peace in the Middle of Everything. I can’t say enough great things about this rental. Situated on one of the busiest streets in Hollywood, you’d have no idea you were even in the city once inside the gates off Highland. The manager Carrie is delightful and helpful and full of great recommendations to make the most of your stay. I would recommend this little gem to anyone except I’m worried it wouldn’t be available next time I want to book it. You really could'nt get much better than this. You are only a few blocks away from Hollywood and Highland with tons of restaurants, shopping and entertainment. Very walkable! The apartment itself was very clean and perfect for 2 people. I cannot say enough about the courtyard though - worth the stay just to see then. Manager was very helpful and a pleasure to deal with. We had a relaxing time in the center of Hollywood. The space is amazingly quiet and private. The apartment is well equipped and the bed comfortable. We always check the Villa first for open dates! 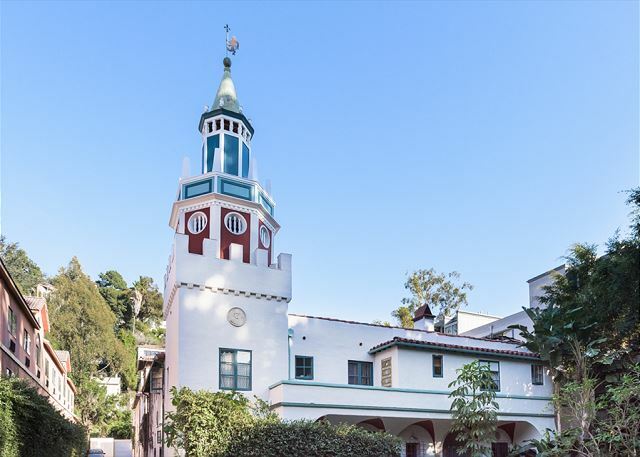 Where else can you get a gated historical building with free private parking, hummingbirds, and a great manager, ALL WITHIN WALKING DISTANCE to Hollywood Boulevard? Definitely a one-of-a-kind. We come every year!! Thanks for taking care of us! Wonderful, relaxing getaway. Really a gem. We have stayed in several different units at this facility and have always hade a fantastic experience. Can't wait to come back! We fell in love with this property the second we walked through the gate. The entire complex feels like a movie set with beautiful fountains and brick walkways through arched halls and around fabulous lounging spaces. Our unit was all the way in the back and felt incredibly private. It was absolutely perfect for two people with a big comfy couch and moveable tables. The kitchen was very well equipped and we cooked breakfast every morning. Great bed in the sleeping loft, a full size dresser for unpacking, and solid air conditioning. 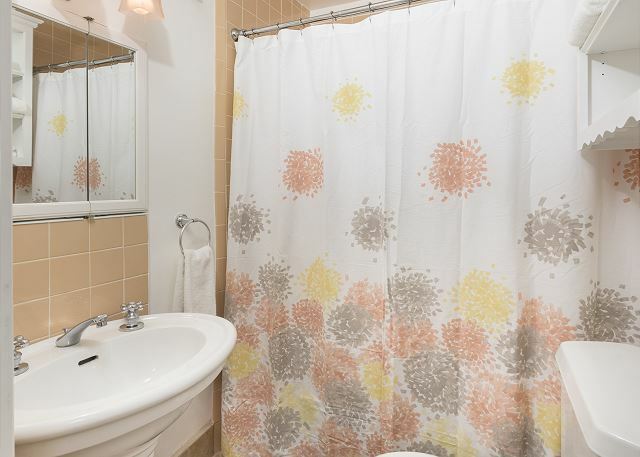 The bathroom was clean and also well appointed with great water pressure. The giant patio with table and chairs was like icing on the cake! The location is fabulous for walking, driving, or ubering and felt very safe. Carrie is a wonderful host and so fun to talk to! Her emails went into my spam folder initially, FYI. I shared this space with one of my oldest and dearest friends and we were find sharing the bed but it would be ideal for a couple. We'd return in a heartbeat! Small apartment with sleep loft and nice outdoor eating space in lovely historical complex. Evonda W from Andrews, TX does not recommend this vacation rental. We traveled from San Francisco to Hollywood on the 4th of July. The 6 hour drive turned into 10 hours due to heavy traffic and 2 separate accidents. I emailed twice to let the property mgr. know we were stuck in traffic and being re routed due to an accident. She did not reply. We arrived a little after 11pm. She was extremely upset and very hostile. She literally was yelling at me in the parking lot. We were charged $150 late fee for being past 9pm . I could have stayed across the street for the night cheaper , checked in the next day and saved the yelling. I was on vacation, I work very hard I would of thought this being her job she would of been more pleasant and understanding. I have used airbnb numerous times from the East Coast to Hawaii and NEVER had this experience. The place was beautiful tho. Location location location! Private, safe, unique and clean. 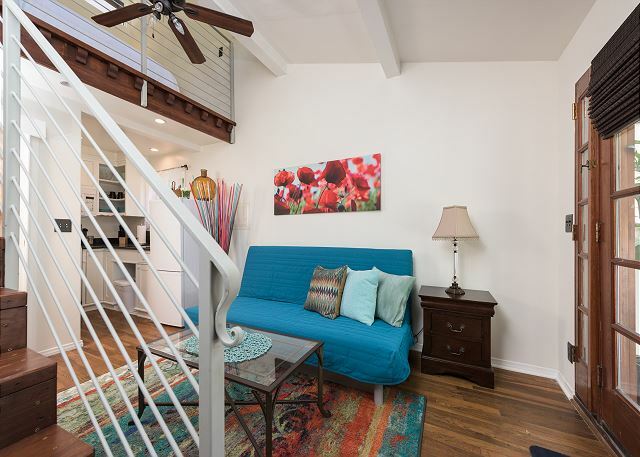 My partner and I enjoyed our stay in our studio loft apartment! It was about the size of a large hotel room, but for half the cost. Hollywood Blvd was a short walk away, as was the Hollywood Bowl. We would definitely come back! This was a great find, and Carrie (property manager) was fantastic. She has the cutest dog too. She was so helpful with everything and very accessible/timely in answering my questions and requests. Surprisingly, the apartment and complex was quiet given the close proximity to the 101 and being off of Highland, which seems to be perpetually busy. (But then this is also Hollywood, which has a lot of traffic just about all the time). The studio-- it's definitely small, but it was the perfect size for me, and I can imagine two people would get on well here too. 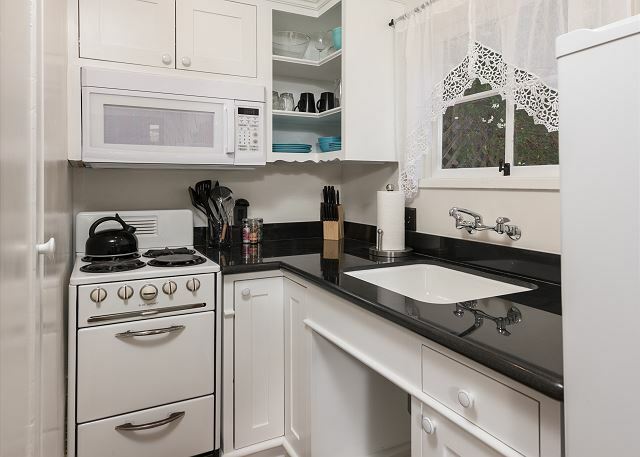 There's a full working kitchen so you can prepare your meals. 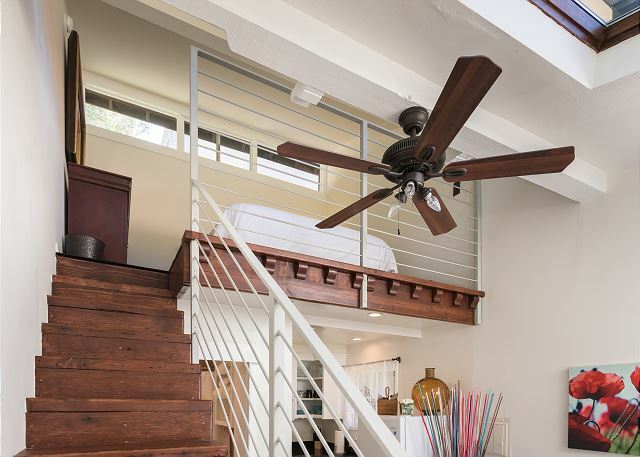 The bed was very comfortable, and it's in a loft above the main floor. The AC worked great, when it was needed. The internet and cell service worked perfectly. 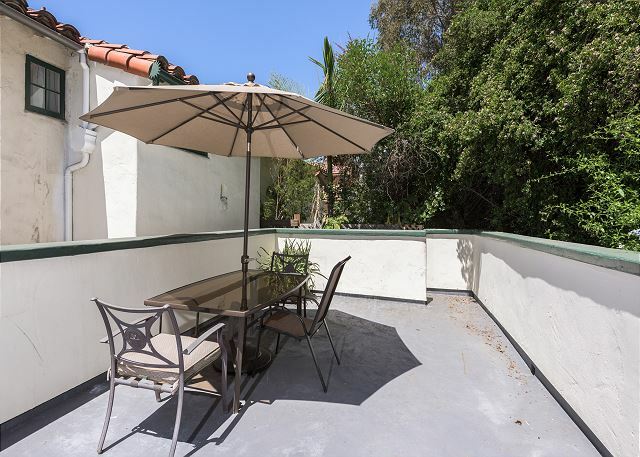 Perhaps the best feature is the private balcony and patio table and chairs. I spent most of my mornings working out there before heading out for the day. The complex itself is adorable. It has a number of tables, chairs and benches that you can sit and relax. And this place comes with off street parking (if you have a car), and as a solo-female traveler, I felt very safe and secure throughout my stay. The mini apt was beautiful and exactly what I needed. Carrie was kind and very acomadating during my stay. I would do it again! 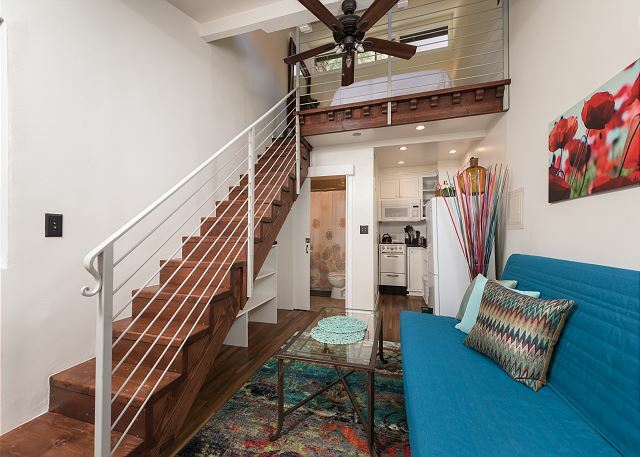 charm mixed with modern amenities and furnishings. Also, and this is an odd complement, the water pressure was amazing (sometimes showers in older buildings can be soft and drippy, but here it was very refreshing). This place is truly a gem and I will certainly stay at the Villa Valentino again next spring! We had no complaints. Carrie was responsive and helpful. The unit was private, spotlessly clean, and while small, very comfortable. The complex was quite intriguing and peaceful with lots of common areas. We'll never waste time looking for another place to stay in LA again! 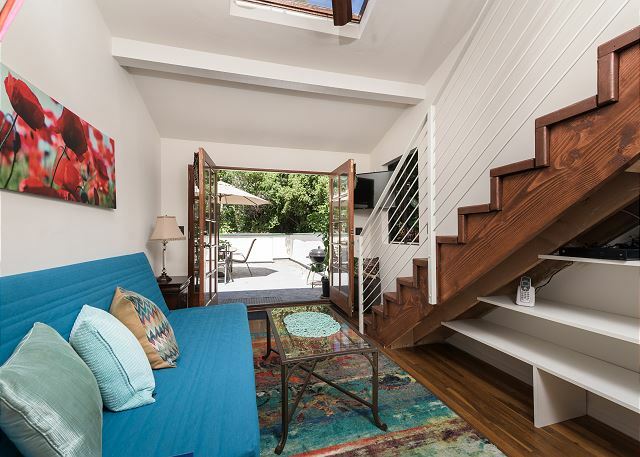 This is an unbelievable find very convenient to Hollywood ave. tourist attractions and close to Universal and Warner Bros studios. #16 was like living in a tiny house, very small, but perfect for 1 or 2. Everything and more . Perfect little getaway . Our stay was terrific. The apartment was beautiful, light, and comfortable. The private outdoor patio was great to relax and unwind after an active day. It was like staying in old Hollywood, yet comfortable and modern. When we return in the future, we will stay here again. We had minor issues that were dealt with right away. Carrie was amazing ! Very welcoming and helpful. Place was cozy, clean and we felt very at home. Truly amazing to be so close to Hollywood Blvd. 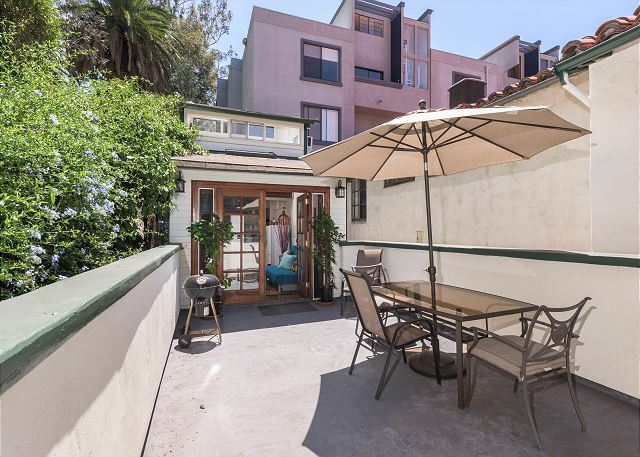 (two blocks) yet in a walled 1920's villa with trees, flowers, bamboo, fountains, outside patios, hummingbirds and designated parking! Great management, quick replies and very tidy! 10 minutes to Universal! We'll certainly be back! Great stay in LA close to everything (restaurant, transportation, shopping, tourist attraction), apartment quiet and very clean. Ideal for a couple. Parking is a plus! a guest from los angeles, CA does not recommend this vacation rental. The apartment was beautiful looked just as it did in the pictures and at first the manager was very nice. When it came to check out day I asked the manager if we could do a late check out bc I was moving into my new apartment that day she texted me back and said yes of course I had nobody coming in after you for two days. The next thing I get from her are an awful phone call accusing me of disappointing her and stealing the keys it was the most awful and insulting phone call I've ever received before right as I was already in the middle of a move. She is emotionally unstable and she kept $25 of my security deposit because she claimed I spilled a drink on her futon cover which is completely untrue I thoroughly inspected the apartment before I left and it was spotless. I would never stay there again!